White Haven is about midway between Scranton and Allentown off the Northeast extension of the Pennsylvania Turnpike. A great location for the "outdoors" type that likes fishing, boating, rafting, horseback riding, skiing, and hunting on State game land -- all within 6 miles of the property. 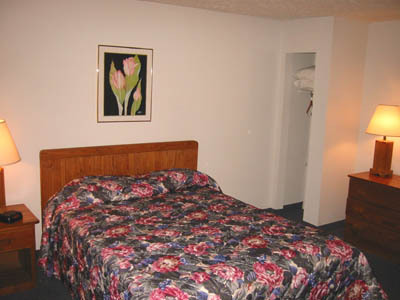 General Hotel Information: Rates for standard rooms range from $55-$165. There are 40 rooms on 3 floors. All units are 2 room efficiencies with FREE local telephone calls; 24-hour front desk; golf; hairdryer in room; handicapped rooms/facilities; pets allowed; limited room service; FREE cable TV includes HBO. Given a 4 Sunbursts hotel rating. Policies & Disclaimers: Check-In: 2 PM. Check-Out: 12 Noon.